SDCC: Send Free Cowboys & Aliens Telegrams! 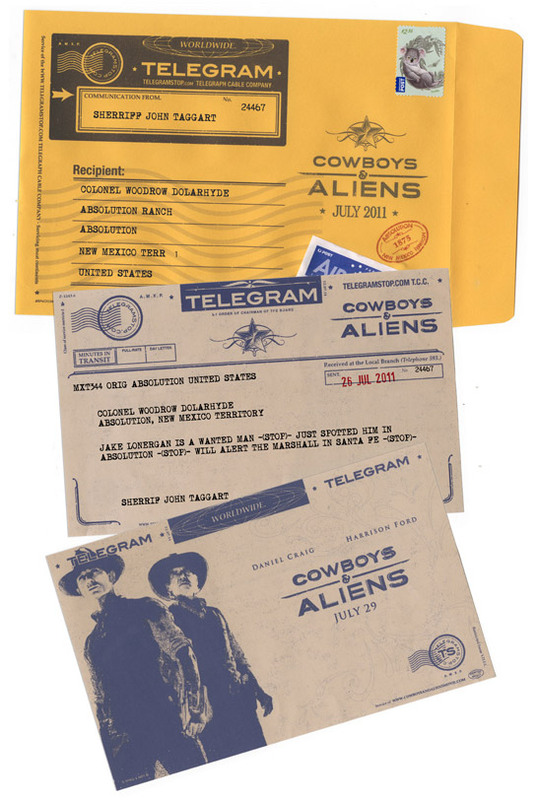 Universal Pictures has launched a new feature for Cowboys & Aliens in which you can revisit the Old West and send friends and family a free movie-branded telegram in the mail! You can check out the site by clicking here. There, just type in your message and use code CA2011 to get your free telegram mailed anywhere in the world. Cowboys & Aliens hits theaters on July 29.